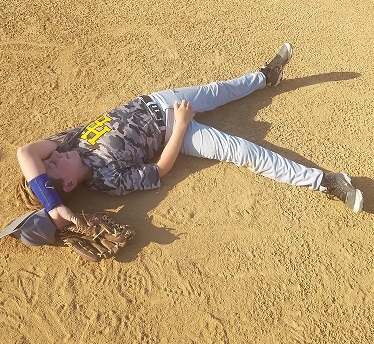 In this constantly evolving world of baseball and specific baseball training for youth athletes, sometimes we get carried away with the amount or quality of training that we provide while forgetting that it takes time off in order for the body to rebuild. While the brain and body learns and grows from consistent stimulation, it is important to remember that our physiological and psychological systems still require rest to recharge from the stresses placed on the body’s bone, connective tissues and muscle tissue. Neurotransmitters which carry the messages from our brain and process information at light speed get bogged down from fatigue. Think of it as sludge building up inside pipes. Adequate rest helps the body and mind to recover and strip away the sludge; refreshing the athlete and recharging for the next session or competition. Our first reaction as trainers is to take the path of “well let’s get them stronger so they can handle more…”. Sure we develop programs that are age-specific. Sure we take into account chronological vs biological differences in our athletes, but yet without the proper amount of rest to recharge our athletes (youth, teen or adult) we would be keeping them in a constant state of breakdown without adequate rest. REST AND RECOVERY – This rest is to mean a full day off of competition and training. The phrase “take a load off” comes to mind here when an athlete can take the load or pressure of having to push, pull, sprint or explode the day after some rugged competition or training. Allowing time for the body to recharge also gives the body time to adapt yesterday’s changes into tomorrow’s workouts. A full day of rest today, is a full day of new energy tomorrow. ACTIVE RECOVERY – An active recovery day happens on the rest day with a light workout that stimulates the body more than breaks it down. This might mean light baserunning, arm care and mechanical work, low intensity ground balls or swings in the cage. As a former athlete myself, I used to say, I’ll rest when I’m dead. As a player through high school and a pitcher in professional baseball, I was used to working 7 days per week. Even with built-in rest days as a starting pitcher, workouts, conditioning and pitching drills still constituted as workout days. Most rest days were spent travelling on a bus, getting little to no comfortable sleep. Even now, I love my athletes who “get it” and want to work on baseball everyday. But even the best of athletes crash physically or mentally and are forced to take rest anyways. Why not learn how to build it in to an everyday schedule? High performance athletes should work at least 1 day of complete rest into their schedules. My favorites are Mondays and Fridays. The other 6 days can be split between competition (1-2x weekly) and training days (5-6x weekly). My athletes generally have 2 workouts a day 3x per week and private training or workouts the other 2-3 days of differing intensities physically, but heavy concentration mentally. It is of great importance that we keep a firm eye on our athlete’s performances to monitor fatigue and adjust accordingly. The seven elements of rest and recovery that are available to all athletes to take part in throughout your training schedule are: Sleep, Hydration, Nutrition, Posture, Stretching, Self-Myofascial release (foam rolling), and Heat/Ice/Compression. Using these in combinations throughout our training calendar helps keep our athletes fresh and ready to grow and compete!